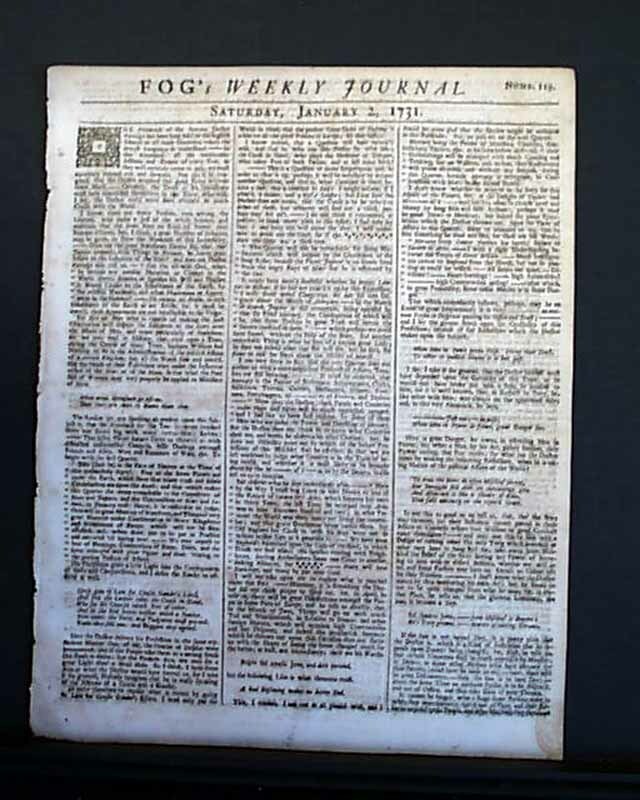 Item # 120257 FOG'S WEEKLY JOURNAL, London, 1731 A quite rare title from England with a very early date and a partial red tax stamp in a lower corner of the front page. Various news of the day both from England and the rest of Europe. 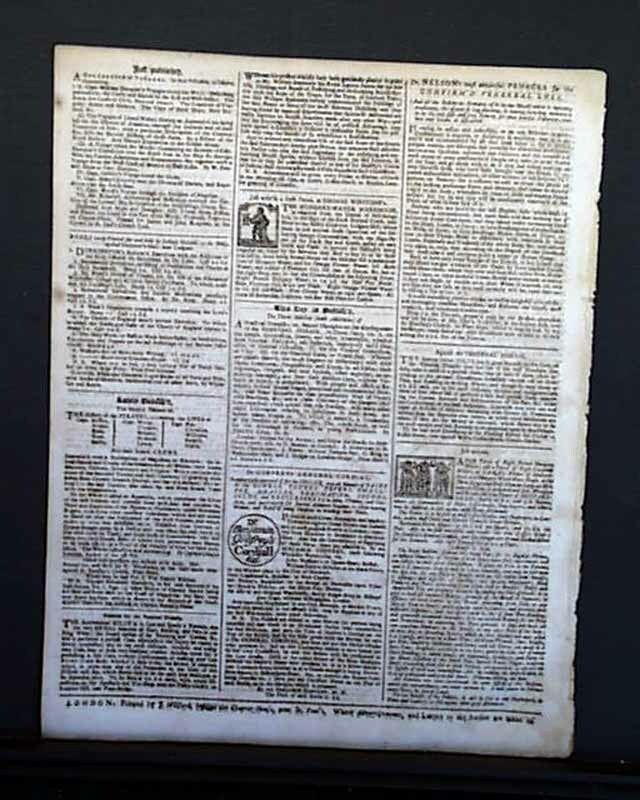 Four pages, approximately 10 by 13 inches, a bit of foxing, overall very good. The image shown is only representative of the look (format) and condition of the issue you will receive. Actual dates vary, but will be dated in 1731.